We’d love your help. 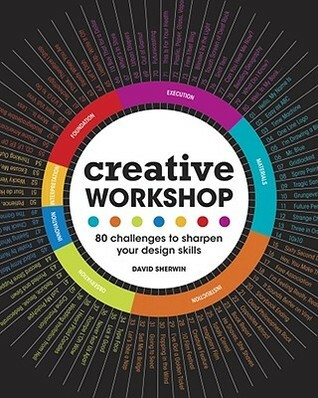 Let us know what’s wrong with this preview of Creative Workshop by David Sherwin. Within these pages, you'll find 80 creative challenges that will help you achieve a breadth of stronger design solutions, in various media, within any set time period. Exercises range from creating Have you ever struggled to complete a design project on time? Or felt that having a tight deadline stifled your capacity for maximum creativity? If so, then this book is for you. Within these pages, you'll find 80 creative challenges that will help you achieve a breadth of stronger design solutions, in various media, within any set time period. Exercises range from creating a typeface in an hour to designing a paper robot in an afternoon to designing web pages and other interactive experiences. Each exercise includes compelling visual solutions from other designers and background stories to help you increase your capacity to innovate. To ask other readers questions about Creative Workshop, please sign up. Who can give me a copy of this book ? My email : ninahxy@gmail.com Thanks a million. I'm not a designer or even someone who works in a strictly creative industry (unless you consider business consulting "creative") so with that caveat, here is my review. I was interested in this book because partly because I like exercises to stimulate ideas and solutions to problems (even seemingly boring business problems). And also because I deliver training sessions and so I'm always on the lookout for ways to give people insights. If it takes a creative exercise to bring about an ah-ha momen I'm not a designer or even someone who works in a strictly creative industry (unless you consider business consulting "creative") so with that caveat, here is my review. I was interested in this book because partly because I like exercises to stimulate ideas and solutions to problems (even seemingly boring business problems). And also because I deliver training sessions and so I'm always on the lookout for ways to give people insights. If it takes a creative exercise to bring about an ah-ha moment, then I'll include one in the training, however tangential it may seem. The author endeared himself to me early on by saying, "As architect Matthew Fredrick notes,"being process-oriented, not product-driven, is the most important and difficult skills for a designer to develop." Being aware of your working process as a designer and reshaping it to fit the problem presented to you is a lifelong practice that will define your career...Your design process consists of the living, breathing flow of actions that you take - some conscious, some unconscious - as part of solving a client problem. As you repeat similar types of design projects, you become more proficient in identifying which of these actions lead to a well-designed result. But we radically improve our skills when forced outside of our comfort zone and asked to solve problems that seem foreign, or use tools or method that seem alien to us." Much of the above paragraph can be applied to decision-making (at least as I advocate it). Yes, I'm cautious about liking books that agree with my thinking and principles but sometimes (I recklessly think) it's just fun and comforting to do so! I liked the book as a spur to stimulate thoughts, most of the exercises were too challenging for me (or perhaps I just have low design esteem). So this rating comes with a strong note of the opening caveat. Exactly what I needed! This a classroom post-degree exercise book. As a recent graduate with graphic design knowledge and skills in back pocket, this book introduces exciting self projects to get your creative gears moving and reinforces the habit of sketching (which, I believe is an underappreciated initiation of design solving for many). 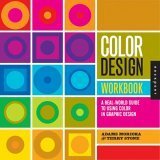 This is THE book for creating items for your portfolio. Each exercise includes rules, time restraints, examples of others work, and a possibility to manufactu Exactly what I needed! This a classroom post-degree exercise book. As a recent graduate with graphic design knowledge and skills in back pocket, this book introduces exciting self projects to get your creative gears moving and reinforces the habit of sketching (which, I believe is an underappreciated initiation of design solving for many). Each exercise includes rules, time restraints, examples of others work, and a possibility to manufacture more make-believe stress with "advanced" guidelines. One of them, for example, is "SEO's wife wants a handwritten font!" D'oh! Can you handle all that problem solving and create a final product in the next 120 minutes? Get cracking! 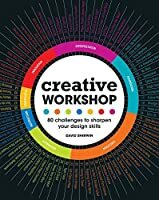 This book is an interesting tool for when you as a designer feel your creativity is drained out. Each "chapter" is an activity to hone your designing skills. I didn't do the activities just yet but some of them look really daring. Great way to become inspired and get going. I do a couple of exercises in here and it's enough for me to push out 4-8 visually appealing prototypes to be turned into high fidelity prototypes later on. Great fun even for non designers like my boyfriend and myself! Creative and interactive challenges--have given it as a gift to two designer friends so far who have enjoyed it. The author is very creative in keeping the readers interest. I almost stopped reading a few time yet it seemed the next sentence or chapter heading would pull me back in. It took me a while to read this book because there wasn't much pulling me forward. But, that said, I found it to be pretty interesting and provocative. While I have yet to try any of the ideas, it did serve as a creative stepping stone to me creating my own ideas of activities I can do. My only real criticism is I was hoping that the activities would be more at a beginner level. Some of them, I think, would require some hefty graphic design skills that many who are "designers" don't have. Good design reference book, the last two sections: "innovation" and "interpretation" are particularly intriguing. The title was somewhat confusing to me, but in the end i liked the book. It just makes you think in a creative way.